Game of Thrones season 8, which will not return to HBO any time before 2019, will see several deaths of some significant characters. It seems like Lord Varys might have a very significant role in the final season. The latest spoilers of Game of Thrones suggested that Daenerys Targaryen's (Emilia Clarke) right hand Missandei will die in the upcoming season as hinted by the actress Nathalie Emmanuel. But now a Reddit user predicted that the mother of dragons will be killed in GoT's final season. According to some previous spoilers, Daenerys will be pregnant with Jon Snow's child in season 8 and will manage to sit on the Iron Throne after defeating now Queen Cersei Lannister (Lena Headey). But according to a Reddit user named self.gameofthrones, one of Daenerys' close allies will kill her and her child as well even after she takes over the throne from the mad queen. The user said that Lord Varys will kill the mother of dragons as it has been his hidden agenda in order to create a better world. The user wrote: "There is definitely a twist about Varys. However, the twist can't be about the genuineness of his love to the people, that would be a horrible plot since his loyalty to the realm and to the people are somehow confirmed to be legitimate. "That leaves no options left but to predict that the twist will be about the 'means' to his goals. Connecting that conclusion with his plan in the early seasons to bring a Targaryen to Westeros, to take over a peaceful King's Landing back then. 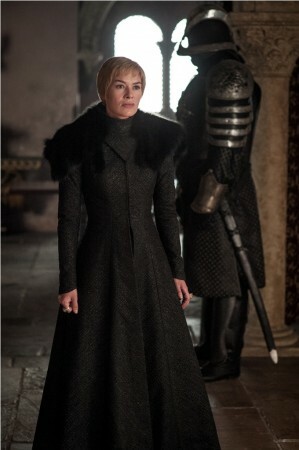 That leads me to think that Varys is a believer in chaos solving problems." Varys, who is a very mysterious character in the series and George R R Martin's novel as well, somehow has always been responsible for every death in the HBO series. He always wanted to eliminate all the bigger players from the scene including Baratheons, Lannisters, and Targaryens. "Assuming that Daenerys will be the winner of the Game, sitting on the Iron Throne," they continued, "I expect that Varys will walk straight up to her and stab her," the user further wrote. "He will be the one finishing the last surviving heir, before proceeding to poison her last dragon(s) and kill her baby as well." The Reddit user has also penned down Lord Varys' dialogues for the final scene. "Sorry my queen, I had to do what I had to do for the good of the people. 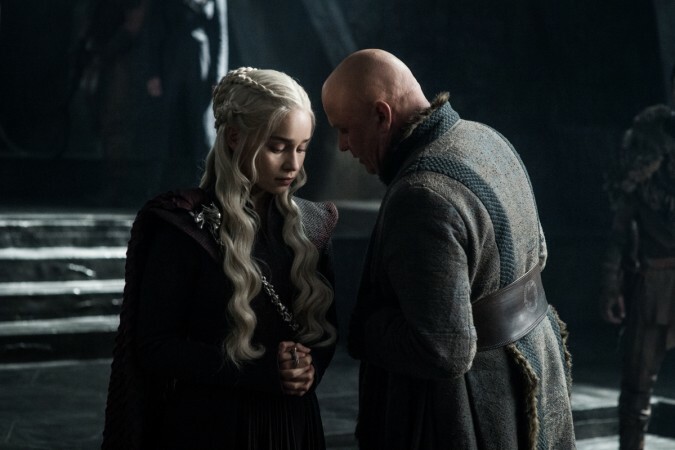 I have no doubt that you were the better ruler out there, that you would be kind and just, that your rule would bring peaceful days to this land," Varys will be saying before killing Daenerys as written by the Redditor. "But what about your child? and the child after him? And the stronger conquerors that may rise against them? It's time for this stupid Game to end." Game of Thrones season 8 is scheduled to be aired on HBO sometime in 2019.